In 1994, the world population was 5.7 billion and the United Nations held a Population Conference in Cairo. Rob attended the conference every day. At the opening of the conference, Egyptian President Hosni Mubarak welcomed attendees "to the cradle of civilization to discuss the future of civilization." At the end of the conference, a 20-year plan to stabilize world population was signed by 180 nations. All countries agreed to improve educational and employment opportunities for women, to promote family planning, and to provide reproductive health care for all women. Developed nations, like the U.S., also pledged to reduce their consumption of resources. 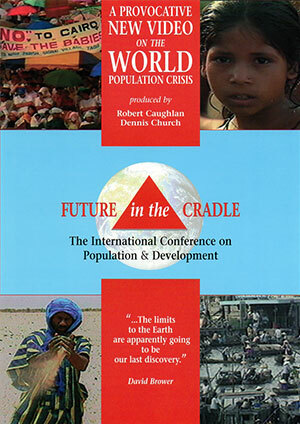 Future in the Cradle is a documentary that follows both the official conference and the many other groups that attended. It also examines why, as our world population soared to 7 billion, the countries in attendance were not making more of an effort to keep the promises made there. 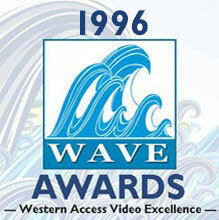 The Western Access Video Excellence (WAVE) awards honor the best local cable programs from the Western States Region of the Alliance for Community Media (ACM). ACM West consists of the six western states of Arizona, California, Colorado, Hawaii, New Mexico and Nevada. ACM is focused primarily on promoting free speech and expanding civic engagement through local media.